Longer days and warmer temperatures – many families are attracted by the beautiful weather to have a barbecue party. Although everyone seems to know how to barbecue, there are more than 4,000 barbecue accidents every year. Frequently, fire accelerators such as alcohol are the cause. Paulinchen, the initiative for burn injured children, draws attention to the dangers caused by fire accelerators during barbecues. 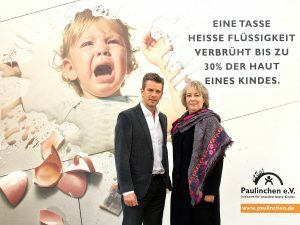 IC supports Paulinchen for many years regularly in terms of media relations (pro bono). Paulinchen is an initiative for burn injured children, which was founded in 1993 to assist families after incidents of burns and burns of their children, to help with problems in the rehabilitation period and to prevent accidents. The more people actively participate in the reconnaissance work, the less barbecue accidents will occur. “Spiritus is often offered for sale in petrol stations and shops right next to safe barbecue lawns. Mostly the alcohol is unfortunately cheaper. 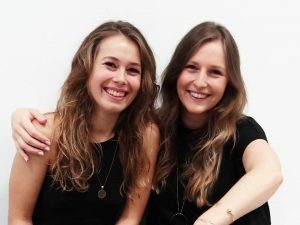 Everyone is called upon to warn against this danger, which is so often underestimated, because barbecue accidents are 100% preventable“, Adelheid Gottwald, chairman of the Paulinchen initiative for children who have been burned, says. Never use liquid fire accelerators such as alcohol or benzine – neither to ignite nor to postpone – danger of explosion! Do not leave children near the grill – Safety distance from 2 to 3 meters! Do not grill in closed rooms and never allow the grill to cool down in the house – danger of poisoning! Cool down one-time grills on the beach with water – also the sand under the grill! Paulinchen advises and accompanies families with children who have been burned at every stage after the accident. A large network of competences is available so that no question about the thermal injury in the childhood remains open. The aim is to achieve the best possible care for each child who has been burned, and to make a preventive reference to accident causes. How can one support aid organizations by simple means?